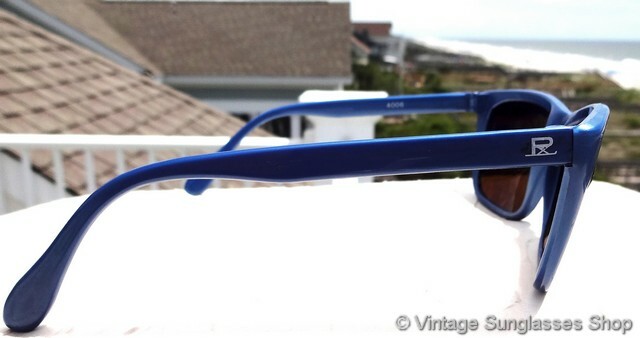 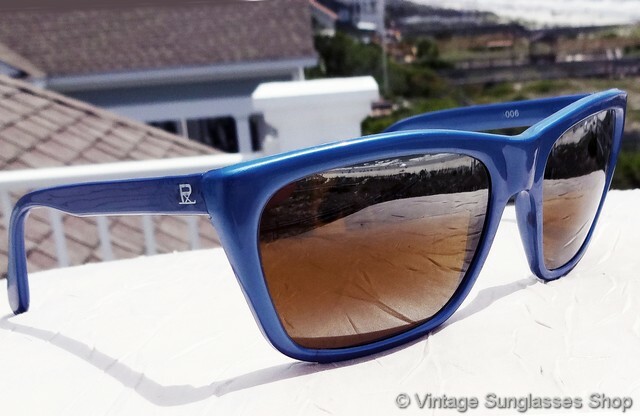 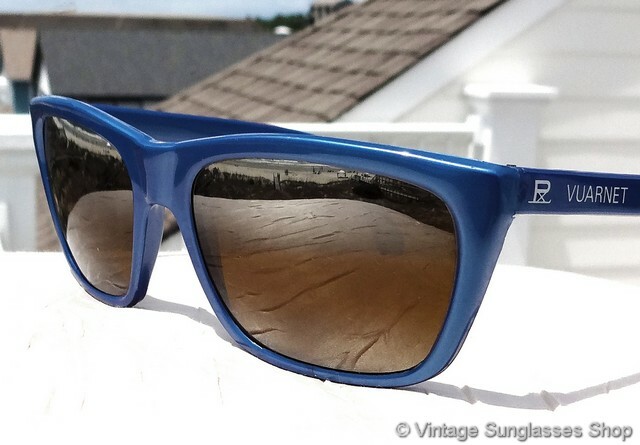 1 Vintage Vuarnet Skilynx 006 sunglasses feature a durable blue nylon frame that evokes the style and shape of classic B&L Ray-Ban Wayfarer sunglasses but with those great Vuarnet Skilynx double gradient mirror lenses. 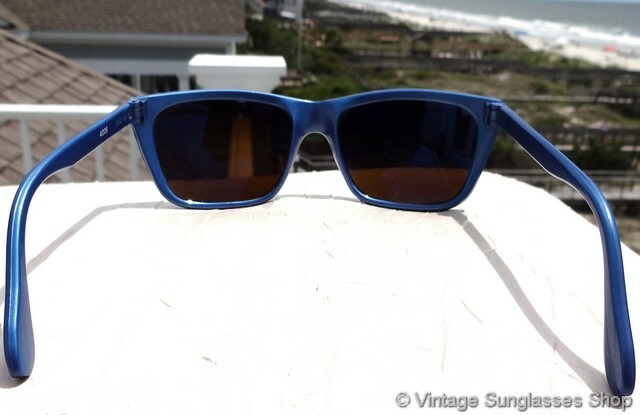 Vuarnet Skilynx lenses are made from a special base, ground and polished on both sides to eliminate distortion. 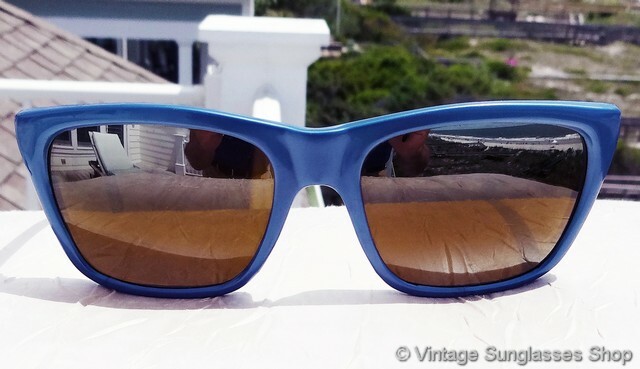 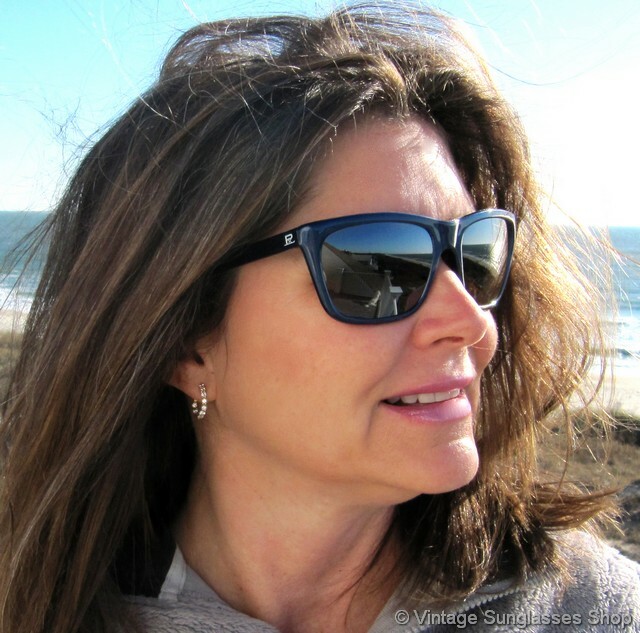 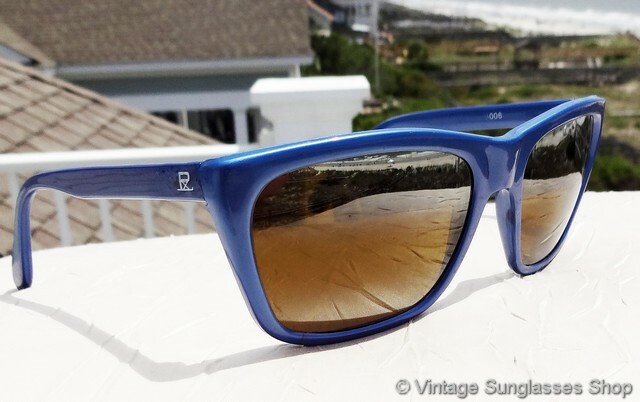 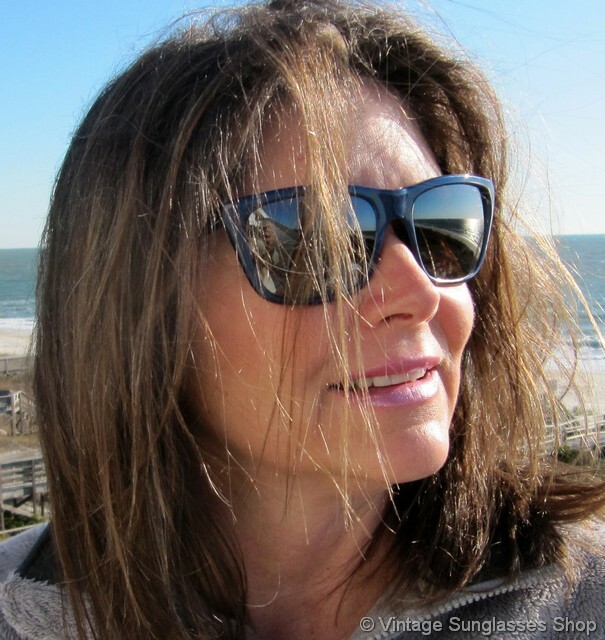 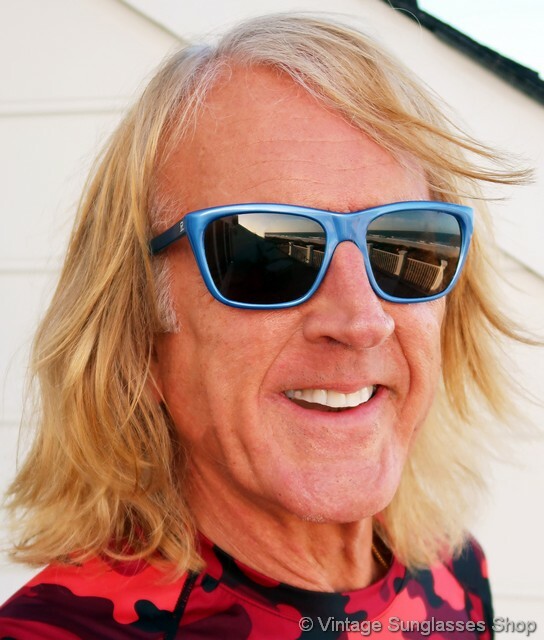 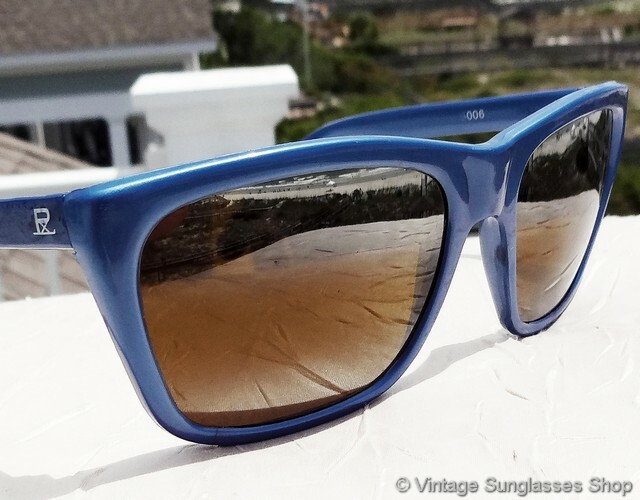 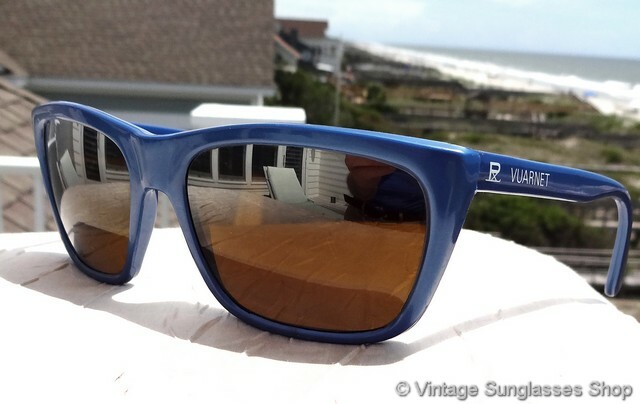 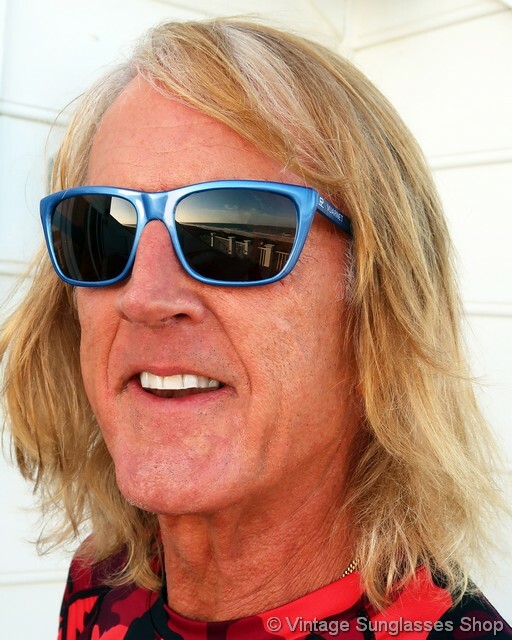 Vintage Vuarnet Skilynx lenses also incorporate a "blue blocker" coating on the back which offers superior glare protection from the sun perfect for sports and adventure activities. 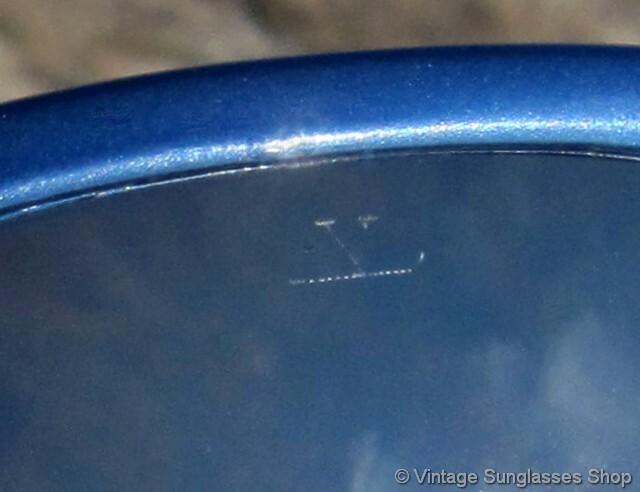 Glare reduction is particularly important for ski eyewear and goggles, for harmful UV rays reflect off the snow to challenge vision, and yet traditional polarized sunglass lenses were poorly suited to depth perception and being able to see moguls on the ski slopes. 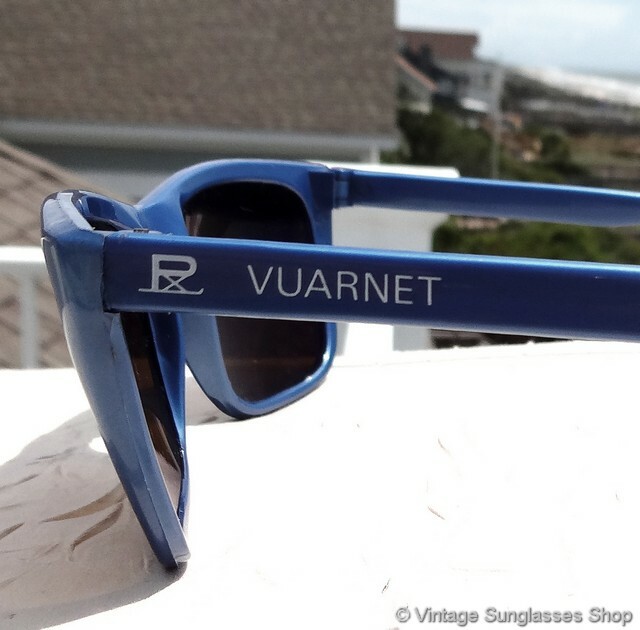 The unisex French blue nylon 006 frame measures approximately 5.375" temple to temple and the lenses measure approximately 2.125" x 1.675" at the widest points with both laser etched with the trademark Vuarnet "V on a Ski". 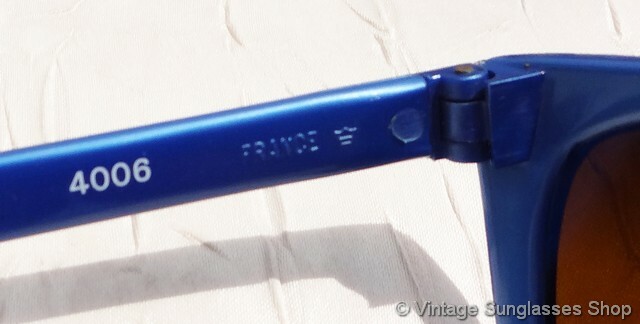 You'll find the PX on a ski trademark on the exterior of one ear stem and PX Vuarnet on the other, and the inside of one stem is impressed France along with the French crown trademark and marked 006 (some production was marked 4006 indicating the PX-4000 Skilynx lenses). 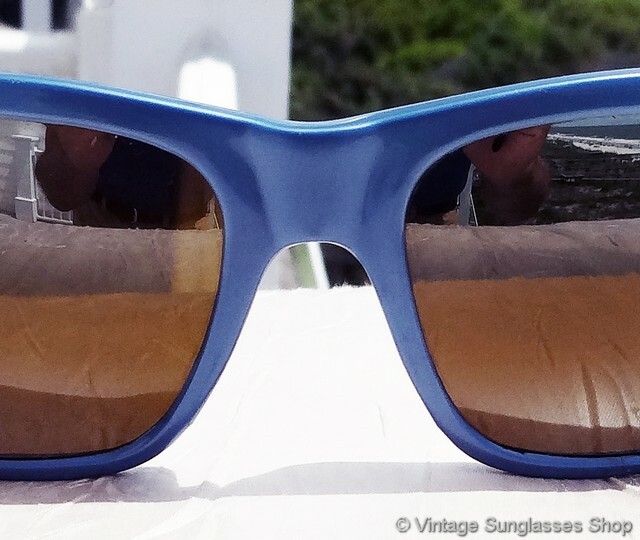 2 Step up another level beyond our already unequaled vintage condition standards with new old stock Vuarnet Skilynx 006 Skilynx sunglasses in mint, unworn condition.